Please provide your shipping location. Care to top it up? We'll ask for your shipping address after you complete your payment. Halifax 57 Rescue (Canada) requests some further information. Halifax 57 Rescue (Canada) is managing the funds for this campaign. 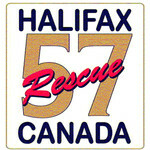 Halifax 57 Rescue (Canada) is a verified organization.